This article was originally written by Lani Axman on her blog Birth Faith. Almost four years ago, I wrote a post called Healing Your Home in which I shared my passion for air-purifying house plants. I also shared info about how poor air quality during the prenatal and neonatal period has been linked to preterm birth, reduced fetal growth, preeclampsia, respiratory problems in infants, reduced intelligence, mood and behavior problems, and Sudden Infant Death Syndrome (SIDS). House plants can do a great job of removing toxins from the air. I have plants in almost every room of my house partially for this reason. Their research demonstrates that SIDS is the result of accidental poisoning due to toxic gases released from baby mattresses. These gases are produced by the interaction of common household fungi with phosphorus, arsenic and antimony, chemicals which are either present naturally in the mattresses or which have been added as flame retardant chemicals (Source). Before World War II, unexplained infant deaths were unusual. But after 1950, the governments of nearly all the rich industrialized countries required treatment of baby and child mattresses with flame retardant chemicals. Phosphorus and antimony were most commonly used; arsenic was sometimes added later as a preservative. Common, ordinarily harmless household fungi such as Scopulariopsis brevicaulis and certain microorganisms consume the phosphorus, arsenic, antimony, added as fire retardants and plastic softeners. In consuming the chemicals, the fungi emit the heavier-than-air neurotoxic gases based on phosphine (PH3), arsine (AsH3) and stibine (SbH3). These gases are about one thousand times more poisonous than carbon monoxide, which can kill a person in a closed garage with a running engine. . . .
Gas generation starts when a mattress, containing both the chemicals and the fungi, is warmed to body temperature in contact with the baby. Perspiration, dribble, urine, vomit, body heat and — as we shall see, critically important — high (alkaline) pH enable the fungi to grow and generate gas rapidly. . . . Most of these gases (phosphine is an exception, details below) remain in a thin layer on the baby’s crib and diffuse away. But if enough gas accumulates to a fatal dose, the parents know nothing of it until their terrible discovery, typically the next morning. . . . For physiological reasons, adults are not put at risk by such gas generation. Before I say anything else, please understand that I share this information only because I wish I had known these things before I had children. No one is paying me to write this post either. This post is not meant, in any way, to make anyone feel afraid or guilty. Please understand this. Most infants will be fine, even if they are sleeping on flame-retardants. I suspect that most SIDS deaths involve a variety of factors beyond just those outlined in the toxic gas theory. Magnesium-deficiency has also been implicated, as I mentioned in this post. “Researchers feel that it is likely that a high proportion of SIDS deaths could be prevented by simple . . . magnesium supplementation” (p. 144, The Magnesium Miracle by Carolyn Dean, M.D., N.D.). This ties-in with the toxic gas theory in the sense that magnesium is a detoxing mineral that would help an infant handle the onslaught of toxic gases more efficiently. 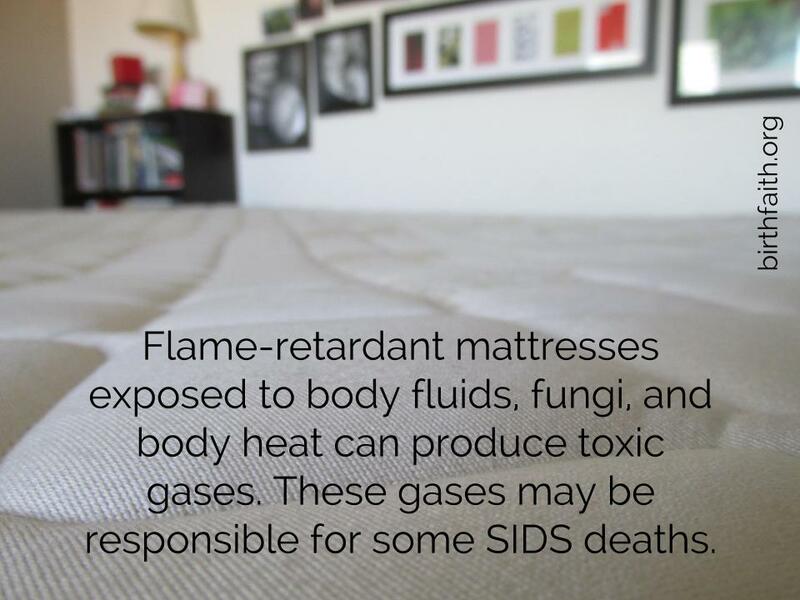 According to Prevent SIDS, it’s not just new mattresses (with chemical smells/off-gassing) that are at fault. It’s actually more likely to be mattresses that have been used for a long time (and accumulated more bodily fluids and fungus) that cause problems. SIDS deaths increase in babies born second or later in a family, likely (in part) because mattresses have been reused. You can read more about all the scientific research surrounding the toxic gas theory HERE. Mattress-wrapping for SIDS prevention, which has been publicized in New Zealand since 1994, has been 100% successful. Approximately 1020 crib deaths occurred in New Zealand during the years 1995 to 2013 inclusive, but there has been no reported SIDS death among the very large number of babies (235,000) who have slept on mattresses wrapped to the Cot Life 2000 specifications. After being static for three years, the NZ crib death rate immediately began to fall. From 1994 to 2011 the nationwide rate fell by 80% (Source). What is mattress-wrapping? Wrapping a crib mattress in an inert (non-off-gassing) plastic sheeting prevents any of the toxic gases from harming your infant. Mattress-wrapping are manufactured in New Zealand to the specifications of Dr. TJ Sprott, PhD,, a chemist who has been voluntarily researching SIDS since 1981. Some plastic-sheeting is not thick enough or produces chemical fumes of its own, so it is important to follow Dr. Sprott’s specifications. Again, no one asked me to write this post, and I don’t get anything from your purchases. I’m just passing along info I believe is valuable and hoping it might save some lives. Psychological and toxic effects of air pollution can lead to psychiatric symptoms, including anxiety and changes in mood, cognition, and behavior. Increased levels of some air pollutants are accompanied by an increase in psychiatric admissions and emergency calls and, in some studies, by changes in behavior and a reduction in psychological well-being (Source). What else can you do to improve your indoor air quality? Open the windows whenever possible. “EPA studies show that indoor air pollution levels can routinely be up to five times higher than those found outdoors as a result of contaminants from tracked-in soil, chemical-laden cleaning products, inefficient or unmaintained heating and cooling systems, and the like” (Source). Don’t wear your outdoor shoes in the house. “Taking shoes off at the door is especially important if you have carpets. Carpets are a sink hole for toxins of all kinds that are brought into the home on shoes and boots, including pollens, lead, pesticides, and more. The cumulative levels of chemicals can become quite significant given that it is hard to clean carpets frequently and well enough, to remove the pollution buildup” (Source). Here’s to hoping we can all start breathing easier! While mattress wrapping is one means of preventing toxic gas exposure, if you are a parent planning on buying a new baby crib mattress, the good news is there are several brands out there producing mattresses that are free of fame retardants and toxic chemicals. 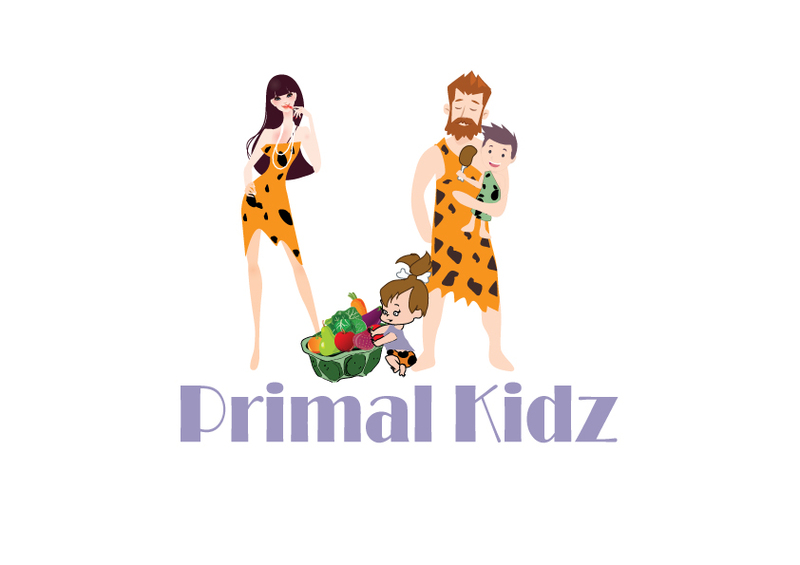 When searching for a truly safe brand, look for ones that are certified organic, GOTS certified, and GREENGUARD certified, such as the Naturepedic Organic Cotton Baby Crib Mattress found in the Shop section of Primal Kidz Mag. Read more about our rigorously curated products in our Affiliate Disclosure here. Lani Axman is a homeschooling mother of five, coauthor of The Gift of Giving Life: Rediscovering the Divine Nature of Pregnancy and Birth, Kundalini Yoga instructor, and has been blogging at Birth Faith since 2007. 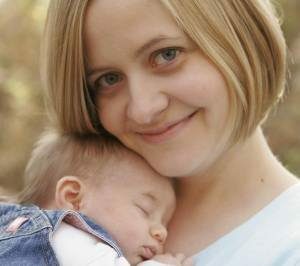 She’s passionate about natural birth, attachment parenting, and detoxing her life–physical, emotional, and spiritual.